Fangirls, my good friend Sophie has done it again! Her recommendations have always been spot on for me, and this time is no different. I got to see her while up in NY this past week, and she lent me a graphic novel titled Awkward” by Svetlana Chmakova. The title is incredibly accurate, but the book has some very touching and impressive moments. Awkward is an all ages graphic novel starring Penelope (who prefers Peppi). She’s new to school and on one of her first days, pushes a boy who is trying to help her pick up her things. 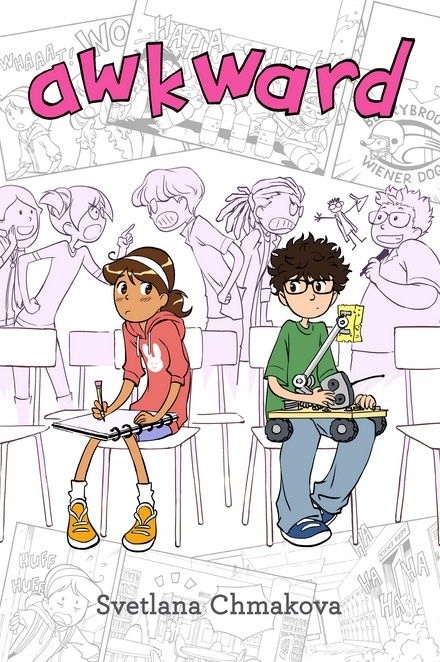 The book focuses around Peppi’s falling into a new friend group (art club) and their rivalry with science club (where the boy who tried to help her hangs out). Peppi deals with all sorts of frustrating and relatable things; being late with homework, required tutoring help, and having to deal with bullies. 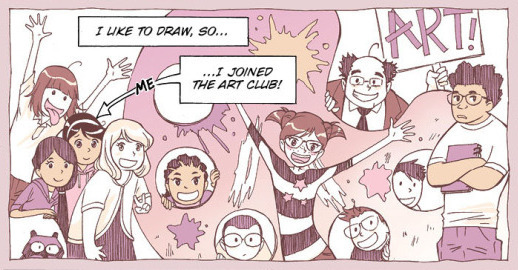 But when the principal decides that only art club or science club can have a table at a large event, she has to figure out a way for the rival teams to work together. Peppi is a little bit like all of us in middle school. She’s a bit green and nervous, but she wants to do well and make good friends. The story turned out to be far more touching than I anticipated, and I was excited about that. 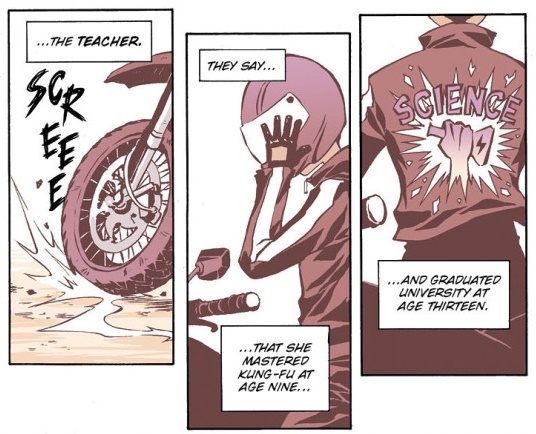 Plus look at how punk this science teacher is! I think this graphic novel was a phenomenal read, and I love that Chmakova both wrote and illustrated it. Though I returned my friend Sophie’s book already, I highly recommend you check you libraries and book stores for this one; it’s a great story the whole way through, and all ages will enjoy it. Keep reading, Fangirls and Fanboys, and let me know if you have any recommendations for me!